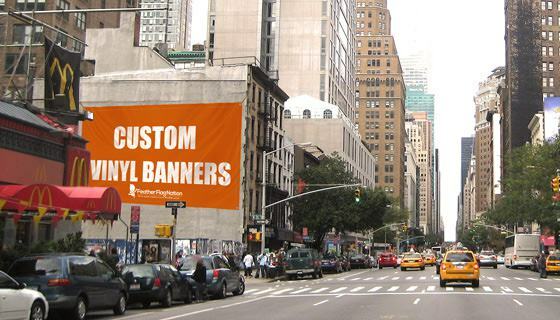 Get your business started right or increase sales for your current location with our advertising custom vinyl banners. We use high quality 13oz matte vinyl material, which creates for vibrant colors, detailed graphics, and long lasting prints. Free design support for all custom orders. The answer to this is simply because these custom banners are low-cost, they usually ship within 1 business day, and also allow for quick mounting to various location. Making huge impressions at low-costs is very important, and these banners do just that. They are extremely versatile because you can use them at a trade-show one day, your outdoor booth another, and then mount it back outside your business the day after. Vinyl banners can function as back-drops, walls, large outdoor billboards, fence covers, and for many other uses. This is what makes these banner prints so awesome. Not only do they have endless uses, but you can customize them as you like with your own graphics, text, colors, and etc. There is simply no other signs that can as versatile as these banners. These banners are durable, water-resistant, and can be used indoors or outdoors. They also come finished with grommets all around, allow for easy install with zip-ties, nails, tacks, or rope. So, if you are on the fence about purchasing a custom advertising vinyl banner for your business, hop off and give us a call. We’ll make your experience as easy and quick as possible. These banners are not just for businesses to use. They are also great for personal use by everyone. You can customize them for birthday parties, graduations, party backdrops, or to celebrate any big achievement, event, or occasion. These prints come in a variety of sizes to accommodate all types of settings and occasions. For your next event, no matter how small, contact us to see what type of awesome vinyl banners, custom flags, or custom feather flags that we can design for you. A simple banner with your loved one’s picture and a few loving words will bring a big smile to an individuals. A small gesture goes a long way! Vinyl banners are also great for all little leagues. We’ve worked with thousands of parents to help them create the perfect banner for their little league games. These look awesome hung on a fence with your coach’s and player’s name and team mascot graphics. Do you make custom birthday banners? Yes, you can customize any of these vinyl banners or custom feather flags for birthday. Send us an image of your loved one and we’ll create you the perfect birthday banner. Do you offer custom fabric banners? 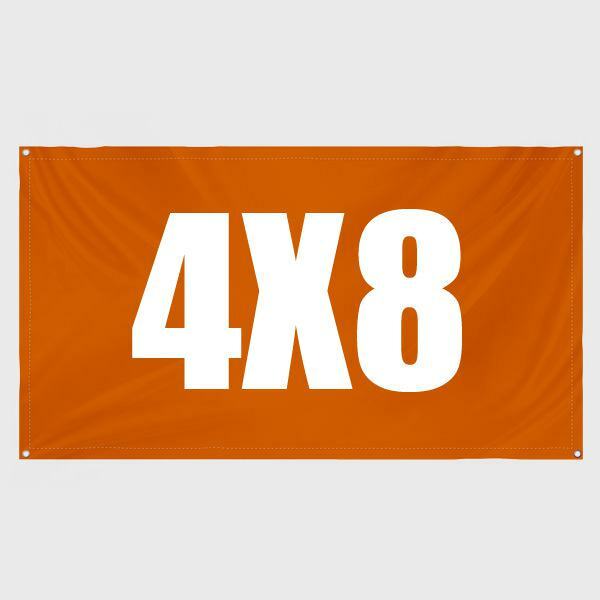 Yes, we offer a variety of fabric banners, such as standard custom flags, rectangle flags, and teardrop flags. 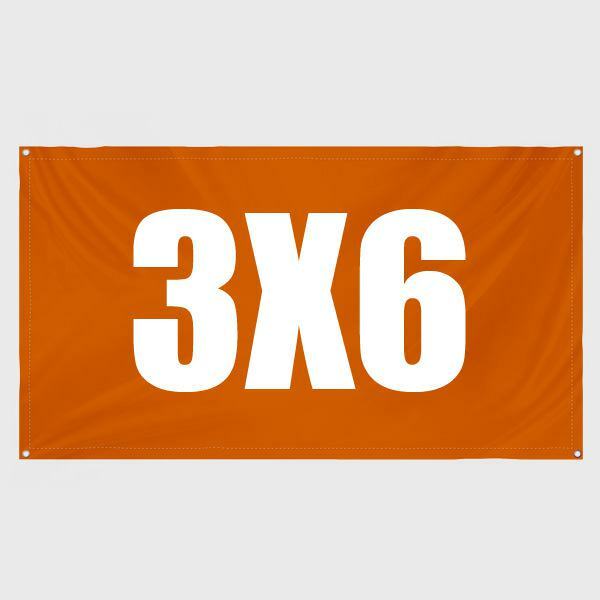 Our 3×5 custom flag is our most popular size for indoor personal or party use. It is also great for outdoor parades, events, and concerts. Yes, they can be used indoors or outdoors. Long term outdoor use under direct sunlight will cause the banners to fade over time. 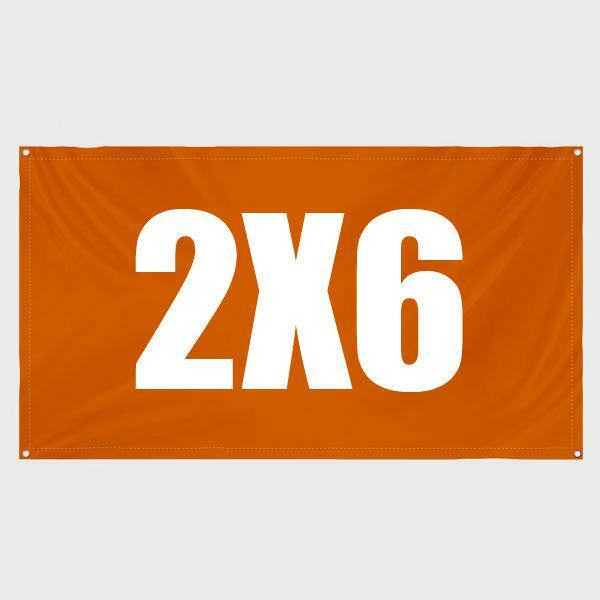 Do you have options for other cheap vinyl banners? The smaller the vinyl print is, the cheaper it will be. We are in the process of getting the proper hardware to begin offering vinyl backdrops. Check back in the near future. How quickly will my banner ship? Orders usually ship within 1 business day, assuming no artwork or shipping address issues. Larger quantities may take longer. How heavy is your banner material? 14oz matte vinyl with interlocking finish on the inside. This finish makes the material very durable. Do your banners include hem and grommets? Yes, all banners are hemmed all around. Grommets are usually placed every 2 to 3 feet to allow for best mounting support. Do you have step and repeat banners? Yes, we do offer step and repeat banners. Currently, we do not have the hardware. It will be available in the near future. I need retractable banners for my trade-show also! We got you covered! We offer various options for roll-up retractable banners.